While "style rules" are not part of the official BPMN specification, they greatly increase the clearness and readability of the models. In this article, an introduction to basic principles of "style rules" is given, along with practical examples. 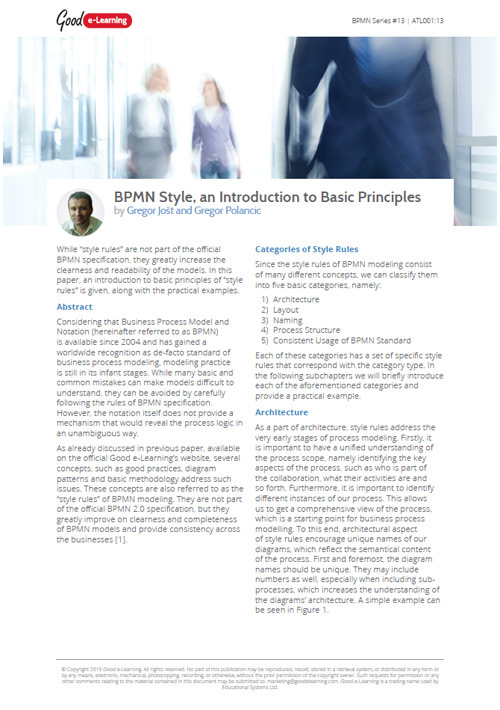 We'll also take a closer look at the 5 categories of style rules: Architecture, Layout, Naming, Process Structure, and Consistent usage of BPMN Standards.